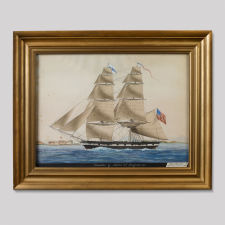 Watercolor on paper, in a period frame. 22" x 27 1/2" framed. 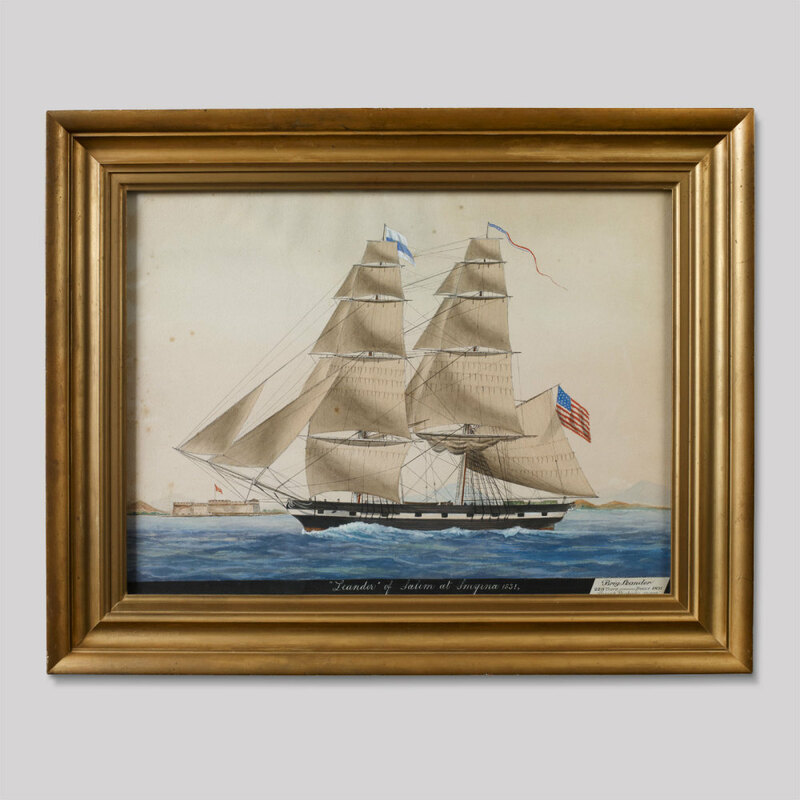 The Brig Ship Leander was 223 tons, built in 1821, Salem, Massachusetts and owned by Joseph Peabody. Condition: minor foxing, otherwise in fine condition.